In my opinion, I don’t think there’s much that beats that first proper, crisp and sunny Autumn day… Don’t get me wrong, Summer is heaven – but after a long hot season, that special change of air, is definitely a welcoming delight. And I think perhaps that the transition to Autumn from Summer, is my all-time favourite seasonal switch… The colour change of the leaves, the beginning of the slightly cooler weather, the layers… Oh, and the fact that you can still get away with brights and transitional wardrobe pieces (point example in today’s blog post!). 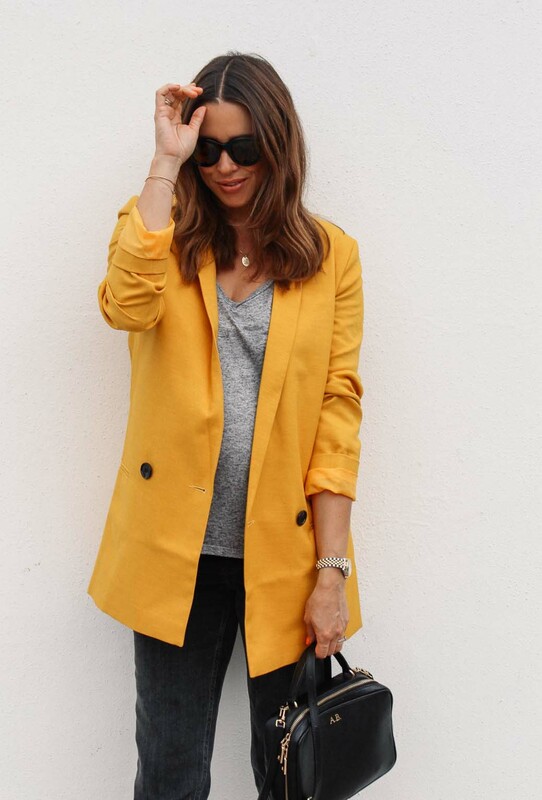 And yes, I am talking about that yellow blazer (oh, just in case you missed it!). 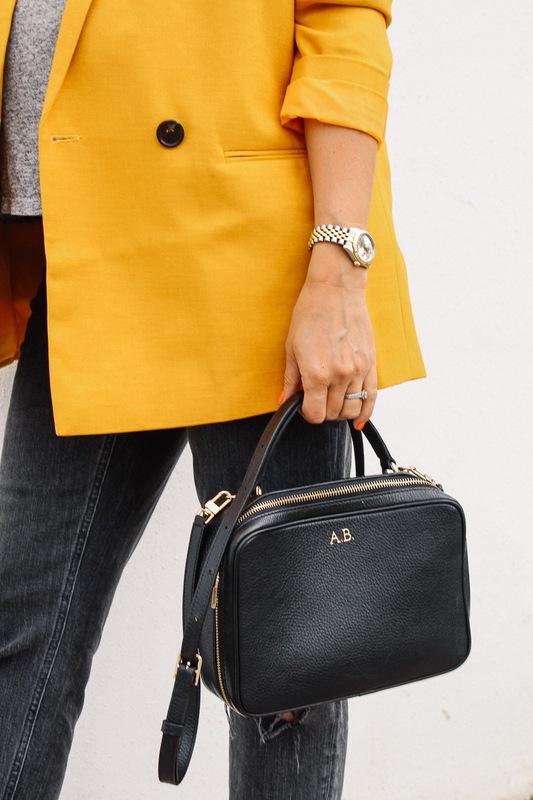 Sure, yellow might be perceived as a summery colour, but this more muted and rich yellow, is in my opinion, the perfect Autumnal jacket. 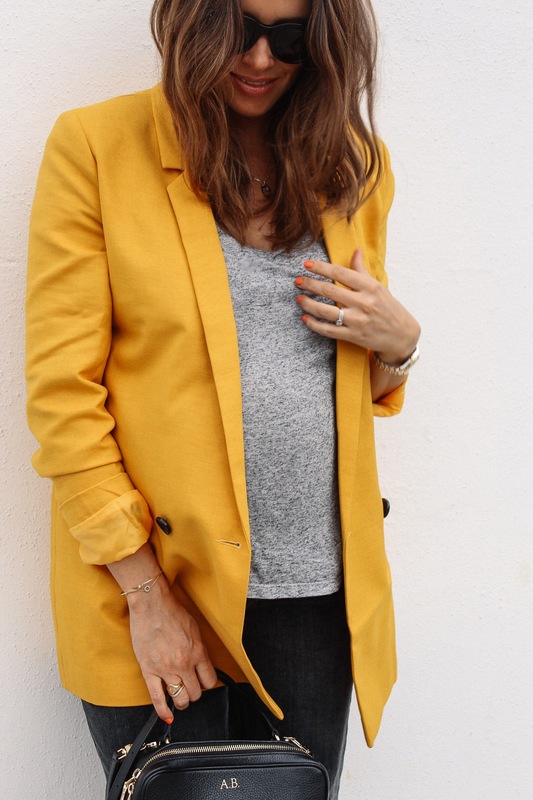 I love a longline blazer anyways, and once I’ve had my baba, I look forward to wearing it as the chic double breasted style that it is. 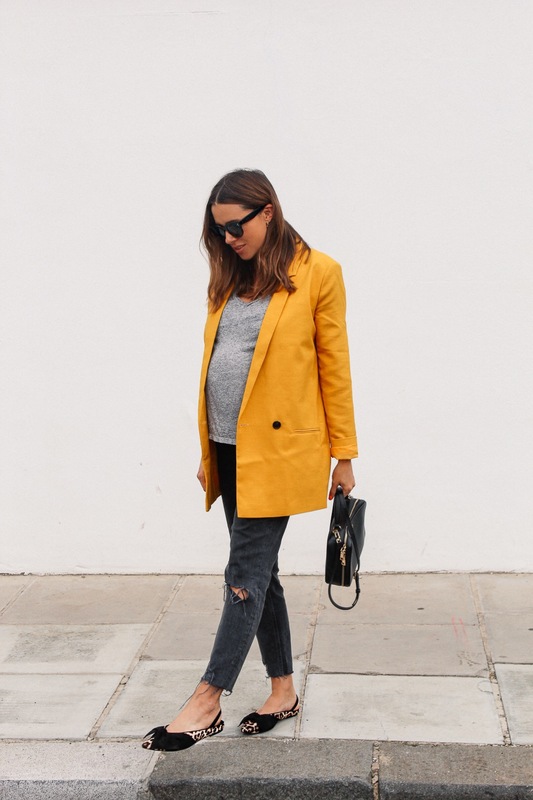 I have invested in several blazers during my pregnancy, but I’ve been obsessed with this style of jacket for years. 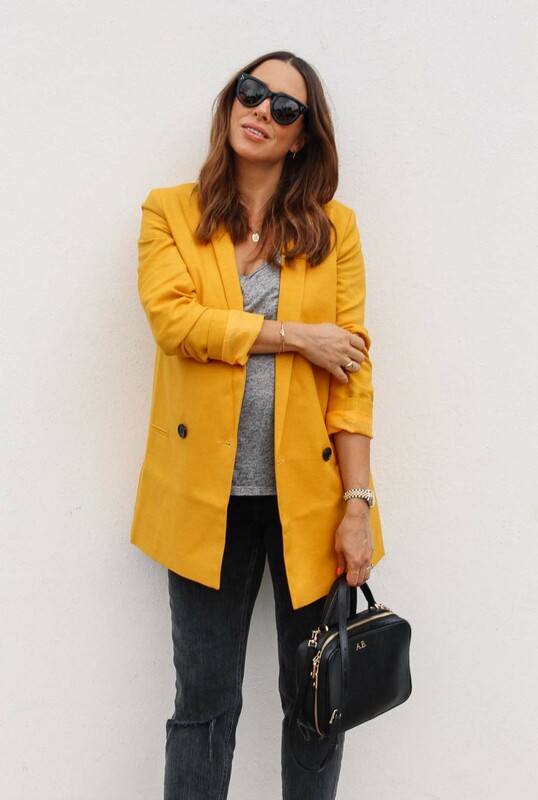 Firstly, I find it so incredibly flattering, as if you get the more casual, yet well-fitted style (not the shaped and cropped corporate version) – it can really pull a look together, as well as slimming the overall outfit (which is especially a great trick during pregnancy). 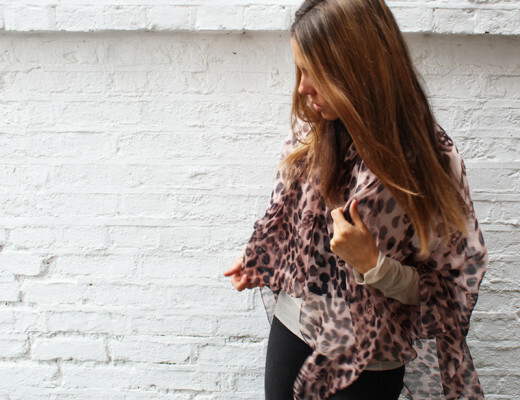 The long-line straight shape is particularly flattering as well, as it covers the shape of the hips and bum. 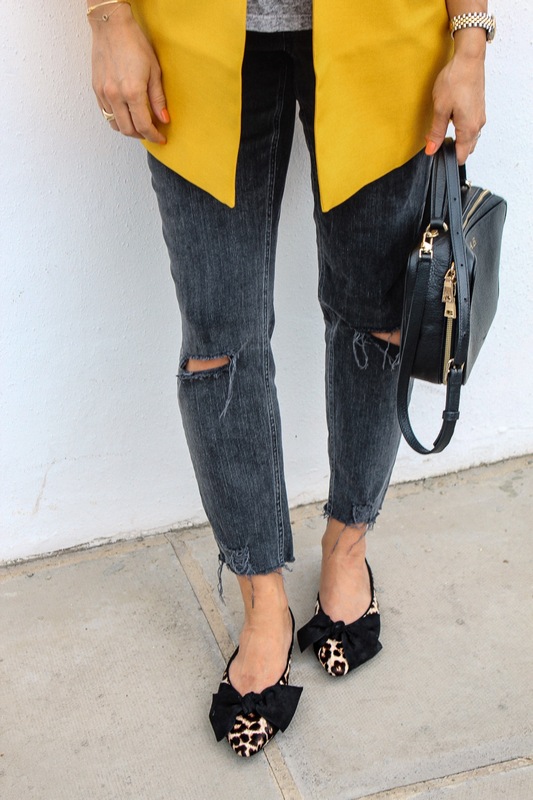 The key styling tip with a blazer, is toning the rest of the outfit down – pairing it with something like ripped jeans, a casual t-shirt, cute flats and some neutral accessories. 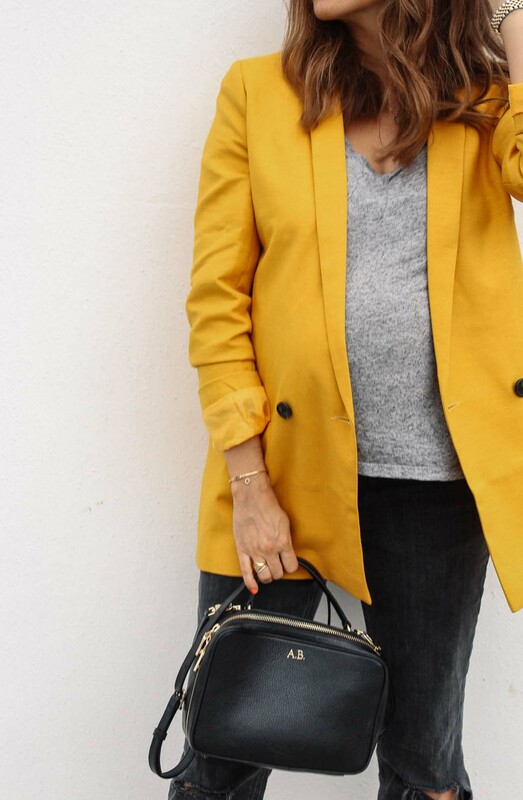 And especially if you’re going for such a bright statement piece such as this one; toning down the rest of the outfit, is definitely a good idea. 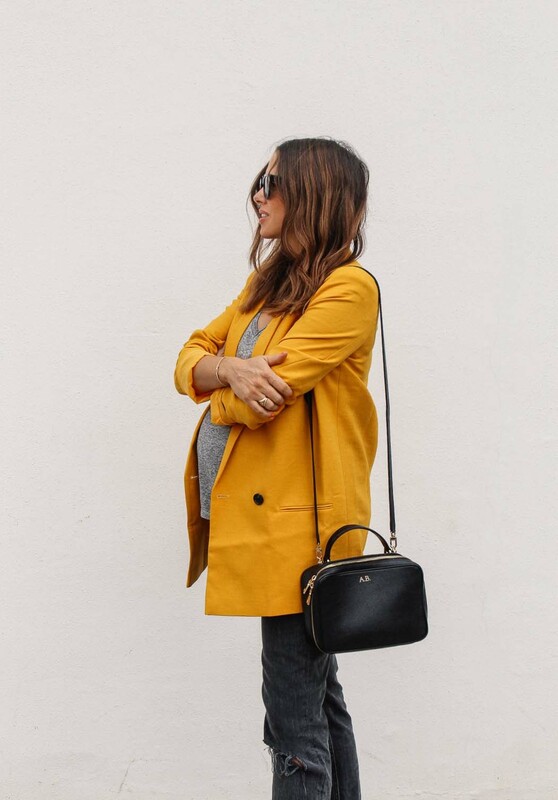 On a completely separate note, this might just be my last outfit post whilst being pregnant! 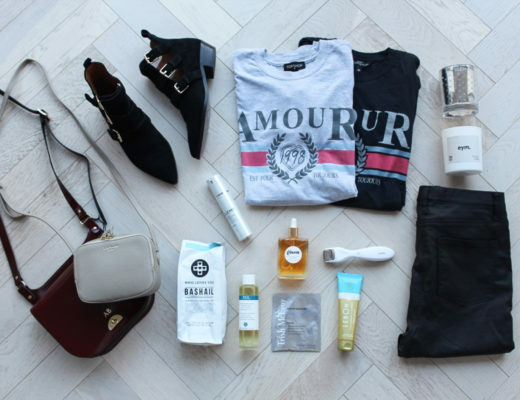 As technically, the little man should be arriving in the next few weeks, unless I am very overdue – in which case, doing an outfit post for the blog might not be on the top of my priority list! So I hope other types of posts might suffice in the meantime. Do drop me a line/comment below if there is something in particular you want to read/see until then!? As for the content, I would very much enjoy posts about healthy cooking/living, something nobody can do enough of in this colder season.